I can’t stress this one enough! While the work on a TEFL course isn’t rocket science, you will have numerous assignments to complete, which range from group projects and lesson plans to essays and exams. Such a variety of work means that you need to know exactly what to do and when to do it. Top tip! Buying (and using!) a diary is vital in ensuring that you meet all deadlines. Here at TtMadrid, days run from 09.30 in the morning to 18.30 in the evening. On top of this you will also have a few hours of homework too. Keep your caffeine levels topped up at all times. In fact, we have free tea and coffee at the school at all times and numerous coffee shops nearby! 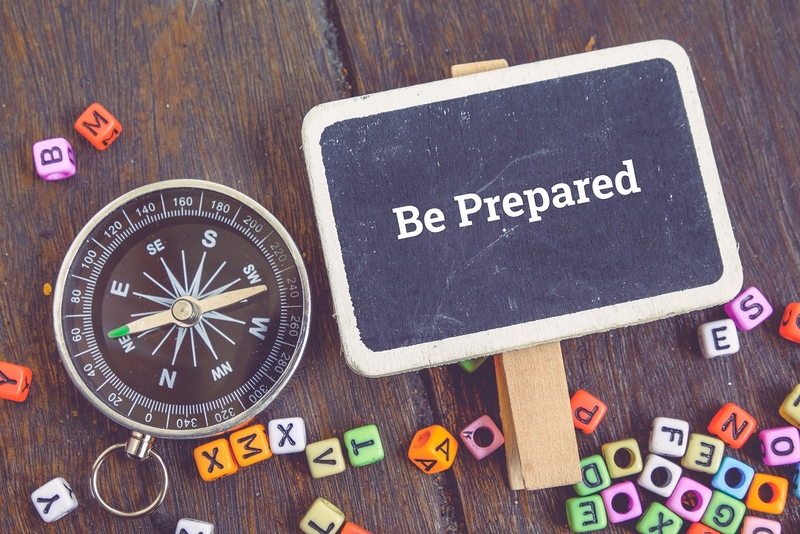 This may seem like an obvious one, but you’d be amazed at how many people come unprepared. Bring pens, highlighters and a note book to ensure you get down all the important information. We provide a TEFL pack, with a folder and bag to help you to organize your notes and handouts. For many, embarking on a TEFL course not only means a new career but also a new home. Being pushed so far out of our comfort zone can often be an emotional experience. Make time to get to know your peers on the course as they often turn out to be your biggest cheerleaders. Who could understand how you feel better than those in exactly the same boat as you? We will help that process during the course through games, getting to know you activities and some social events. Here at TtMadrid we pride ourselves on the love and support that we give our trainees and grads. All of the trainers here have also completed the Tt TEFL course (albeit a while ago now) so we know just how overwhelming it can be at times. If you are unsure what to tackle next, unsure about instructions, need a chat or simply want a hug, come find one of us! We promise to make the road to becoming TEFL qualified a little less bumpy. Arriving on time for all training inputs during the TEFL is incredibly important and a requirement set by our accrediting body. Make sure that alarm is set before going to bed each night and this is one requirement you will meet with flying colours! As the course picks up pace and speed, finding time for yourself can become more challenging. However, doing activities to help you disconnect is highly recommended. Whether you enjoy running in the park, shopping, watching films or a nice chilled glass of wine in the sun (but only one! ), keep doing those things to energize yourself. It will make the learning process much easier. While not compulsory, your life on the TEFL course will be made much easier if you have access to your own laptop. We do have a resource room with computers here at the school, but having everything you need at your fingertips on your own computer is likely to reduce stress levels. On day 2 of the course we will connect either your phone or laptop to our printer and will also get you connected to our Wi-Fi, intranet and resources folder so you’ll have everything you need to keep on top of the workload. We always find that at least one person per course gets so wrapped up in the course that they forget to eat! When you are busy printing off lesson plans, cutting up warmers or revising for the exam, it can sometimes be easy to get so wrapped up in what you doing that you lose track of meal times. We have a fully equipped kitchen, including a fridge for you to bring and prepare your own lunch and snacks to keep energy levels topped up. We’ll also point you in the direction of some bars and take away options you have next to the school. While it is hard to see the light at the end of the tunnel whilst in the midst of projects, assignments and teaching practices, these four weeks will be some of the quickest of your life. It is amazing to think that with only four weeks training you will be prepared enough to go out there, teach, change lives and get paid for doing it. However stressful it may seem at times, four weeks is such a short amount of time. Keep the end in sight, keep positive and you’ll be fab! Do you have more questions about what to expect on your TEFL course? We are offering a free half hour consultation where you can ask anything you need about Madrid, Spain, TEFL or teaching. Email Helen at helen@lets.education and quote “Free Consultation” to organize yours.